Hi everyone, New face here ! 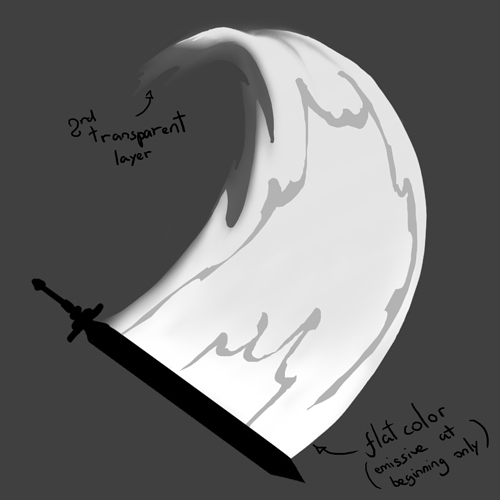 For the grayscale sketch, I’m going for the sword slash. I’d like to try getting close to Sdorica-Sunset- Visual Style and global feel. Warning! Bad jokes may ensue (Blame Morpheus for forgetting about me). 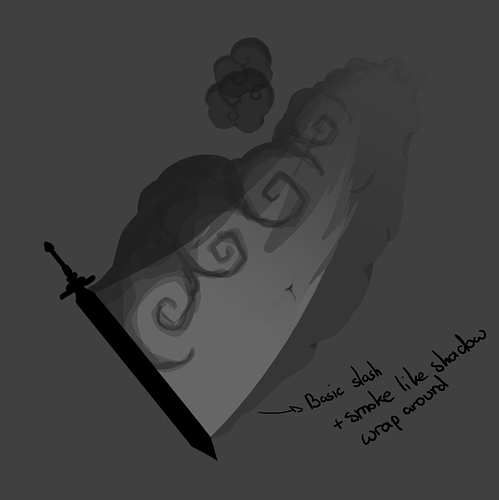 Just flat textures running after the sword. 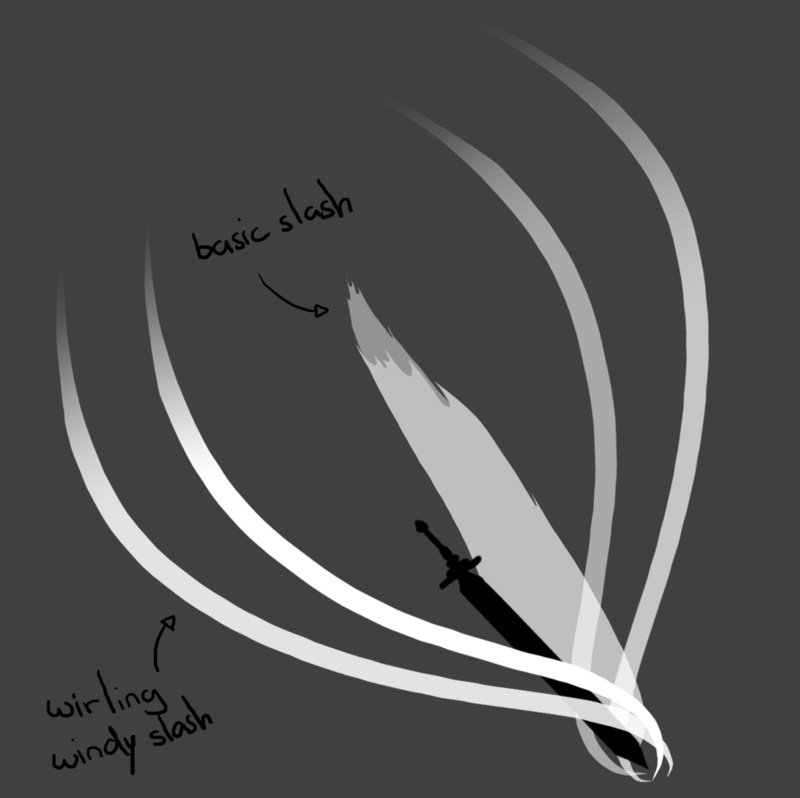 Slash from a sword with magic stones in the blade. The blacksmith was sleep deprived, don’t ask. 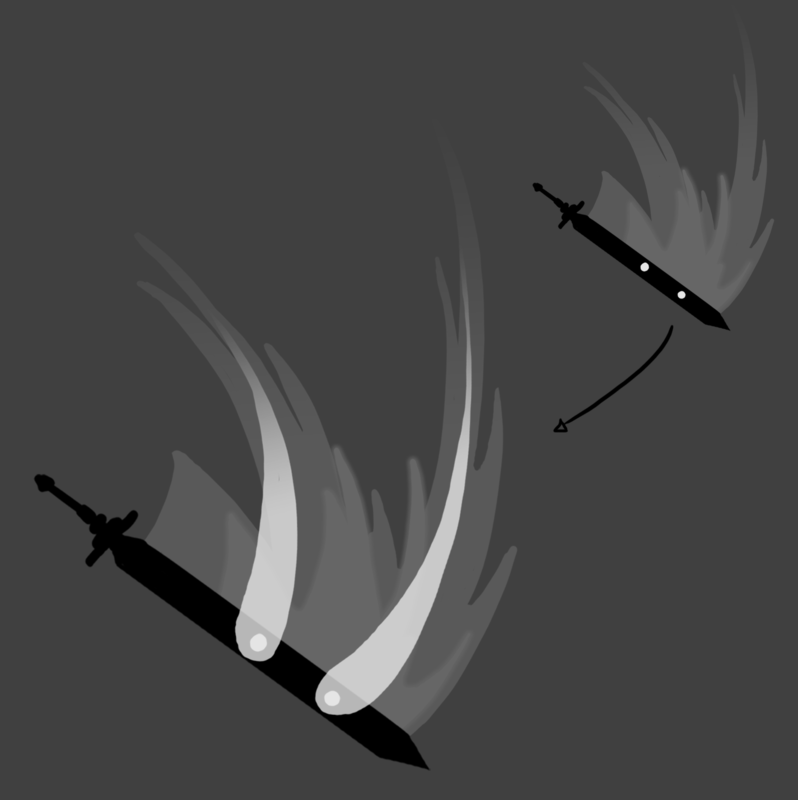 This time, the slash is running away from the sword. Don’t wait for it, it won’t come back. 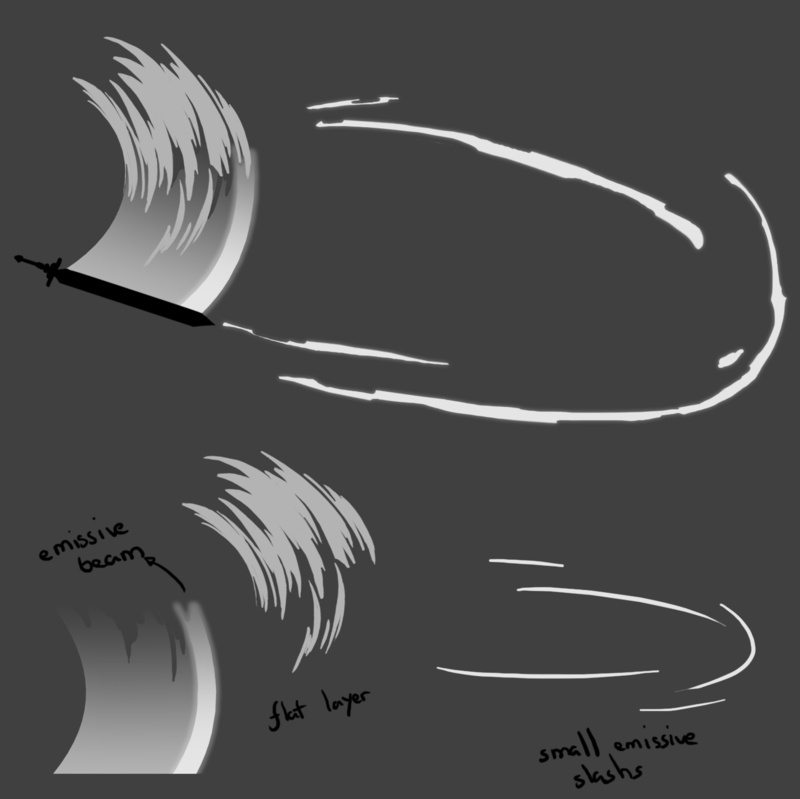 Want to whip someone without ending as the rope collateral victim? This slash is for you. 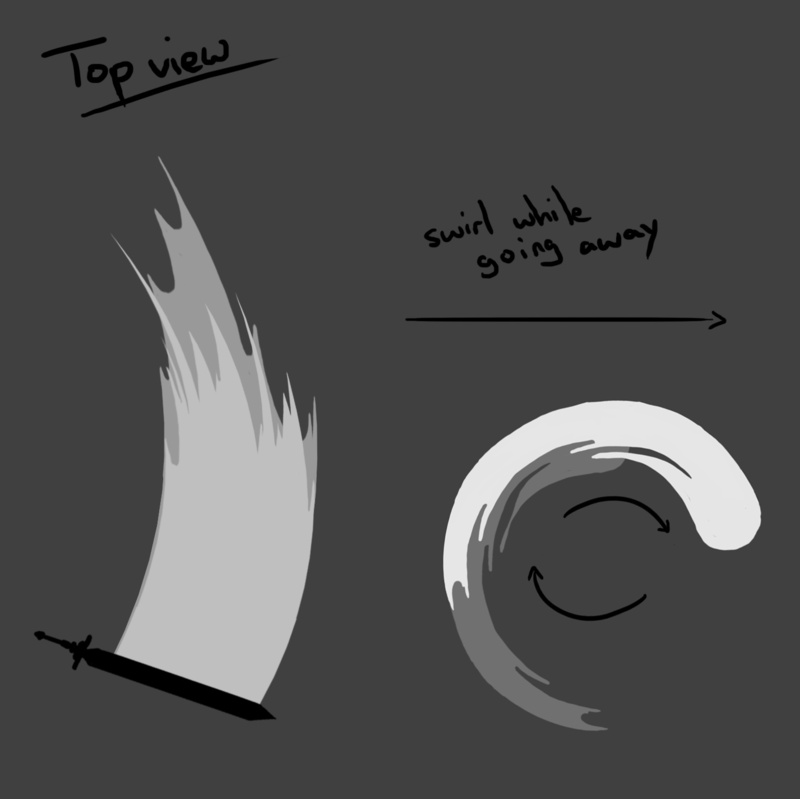 So much energy coming from the tips of this sword! A ninja slash imitating smoke bomb to hide (though it makes it more noticeable, but don’t tell it). Don’t know how it will go, but I’ll at least try to have fun on it! Are your VFX going to be in 2D or in 3D? 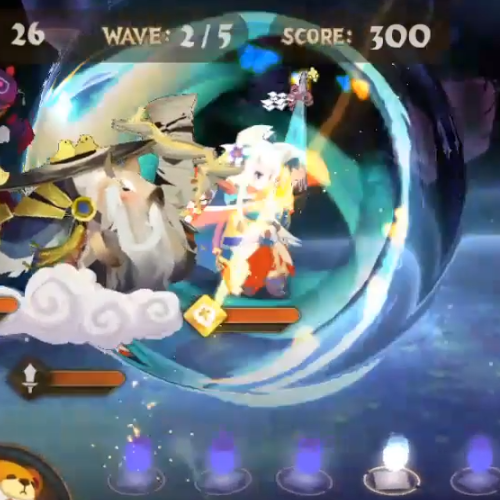 I’ve been looking at your main reference, Sdorica Sunset. They don’t need to convey AoE in their VFX since it’s a turn based game and the player or the enemies won’t be able to avoid the attacks. I would keep that in mind. 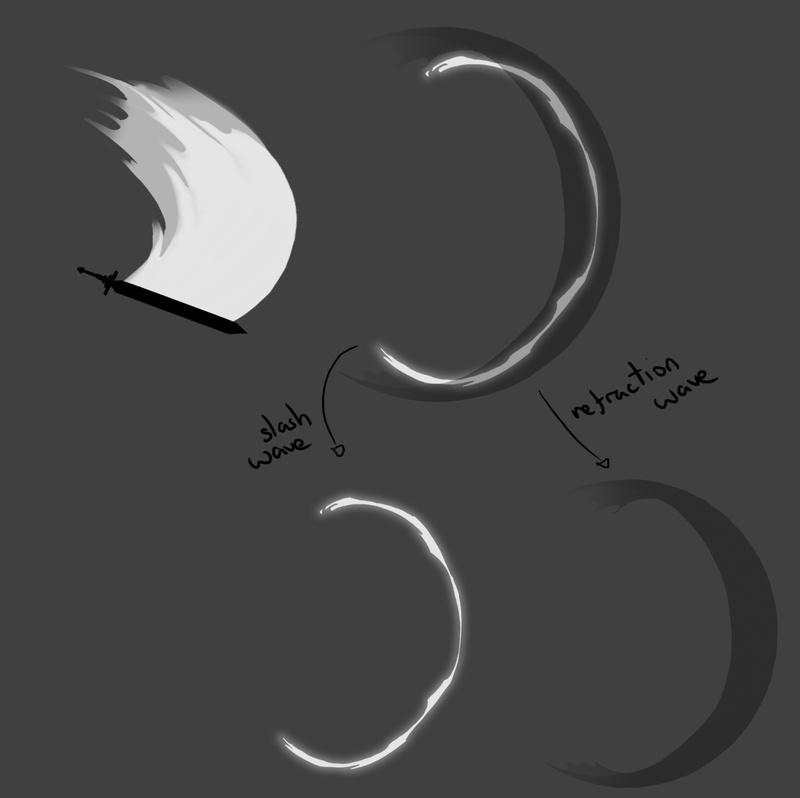 Also, their shapes are very defined and not that blurry, some of the glows being the exception. The colors are mostly flat too. That said, I’d play with texture instead of color to spice them up. It’s going to be in 3D. Yeah they do seem to play a lot with the texture and the emissive, so I aim to use as little color variation as possible.